Spend an evening Down Under with us! 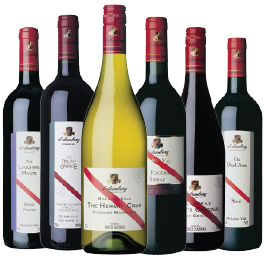 Taste 6 amazing wines from South Australia’s d’Arenberg Winery at our next Winery Spotlight event! Contact your local WineStyles to RSVP, limited seating available! Established in 1912 by Joseph Osborn in the McLaren Vale region of South Australia, the estate has grown to 345 acres with 4th generation winemaker Chester Osborn at the helm. By maintaining a focus on traditional winemaking, the Osborn clan has successfully established themselves as one of Australia’s leading producers of characterful wines. Ranked among Austrailia’s Top 10 Shiraz producers by Wine & Spirits Magazine, their reputation is clearly worldwide. d’Arenberg is unique in that it is one of a few wineries in Australia to still use the age-old basket press method for white wines as well as reds. At d’Arenberg, all fruit is pressed in wooden baskets using the very gentle, traditional ‘Coq’ and ‘Bromley & Tregoning’ presses. The presses are both old soldiers, dating from approximately 1860. d’Arenberg liked the gentle action of the original ‘Coq’ press so much that they had it replicated in 1940. 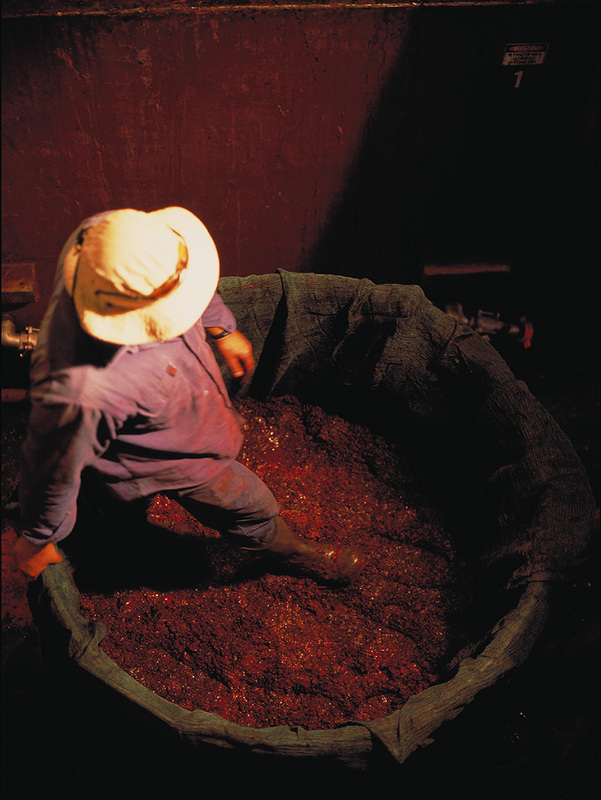 The main job of the winepress is to get juice, or fermented wine, from the grape skins and pulp. For white wines, this happens before fermentation (so the more delicate whites do not pick up any color or phenolics from the skins) and for the reds, after fermentation, so that the action of the ferment and the alcohol has extracted the good bits out of the skins. Basket pressing all of the wines makes for a very labor-intensive exercise, but the quality of results justifies the effort. The pressing action is very controlled and is extremely gentle. The d’Arenberg winemaking team uses their collective imaginations in coming up with a way to make basket pressing oxygen free, thereby preventing oxidation in the whites. This is achieved by using a big plastic bag and some dry ice, which encases the whole basket. Chester believes that one of the advantages of basket pressing is cleaner juice, as it is partially filtered through the mass of pulp it drains through in the basket. This saves time in settling and clearing the juice, and brings the procedure much closer to how d’Arenberg like things – minimal interference which enables them to preserve quality. LIMITED SEATING – Contact your local WineStyles to RSVP! This entry was posted in Winery Spotlight Tastings and tagged d' arenberg vineyards, d'arenberg, local wine tasting, tasting, tasting event, tasting station, wine, wine portfolio tasting, wine tasting, winery spotlight, winestyles. Bookmark the permalink.